I have shopped with All BRANDS for over 10 years and I have always enjoyed the quality products I have purchased from them. Great Produsts, Great Prices and always Super Fast Shipping. I plan on more shopping in the years to come. A very Satisfied Customer. It has been a wonderful experience. My husband shopped the internet until he found your iron. I came and looked and it looked great. We ordered it and it came in just a couple of days. The iron works great and looks great. I have told many people about your site. This was one of the best purchases I have made from AllBrands.com. 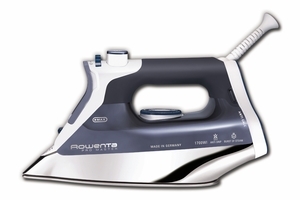 I previously purchased the Jiffy Steamer and there is no comparison to how the Rowenta Steam Iron does for my clothes, it is like having them done by a professional dry cleaning service. Great product and price.